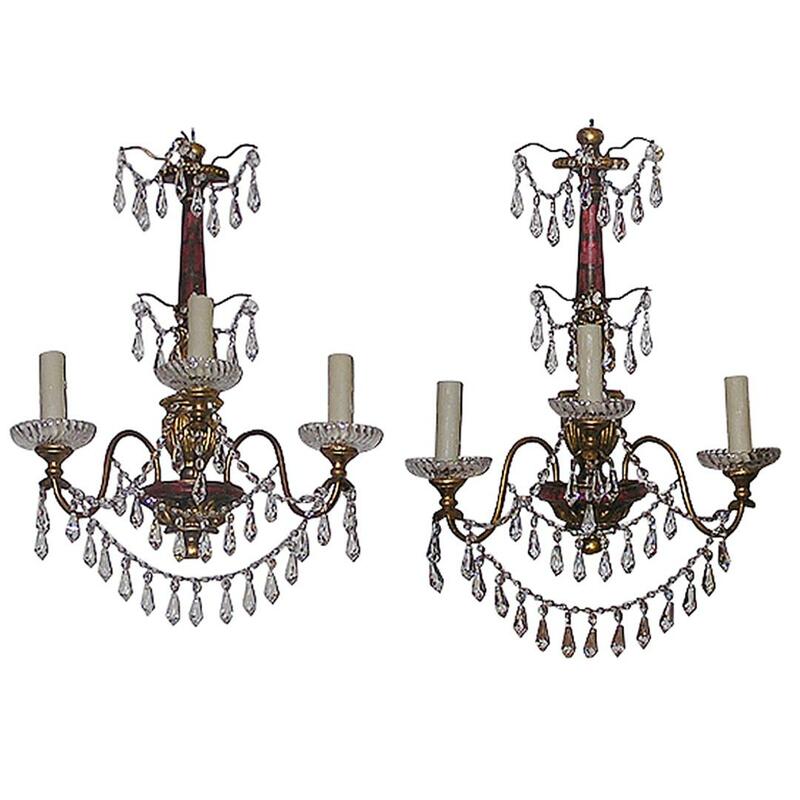 Pair of Italian carved wood three arm polychromed and gilt crystal sconces. Originally candle powered. Dealers please call for trade price.